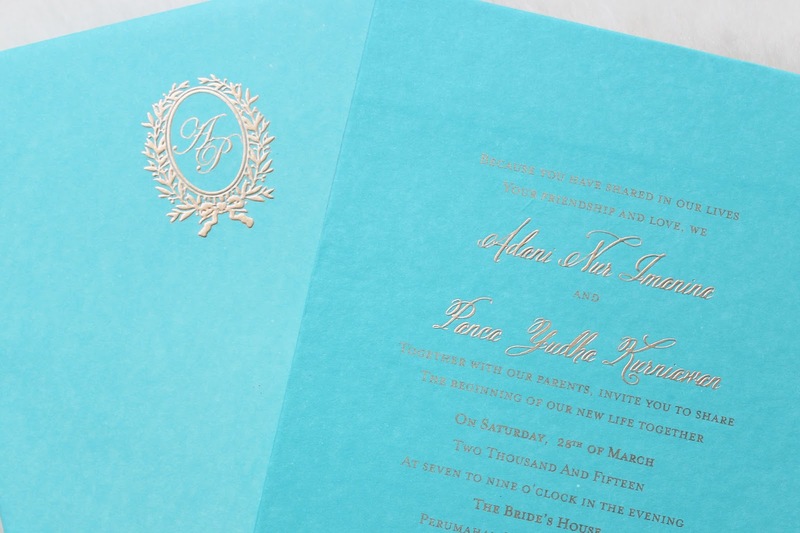 Out of every design possible, I chose not to have any "design" at all for my invitation. 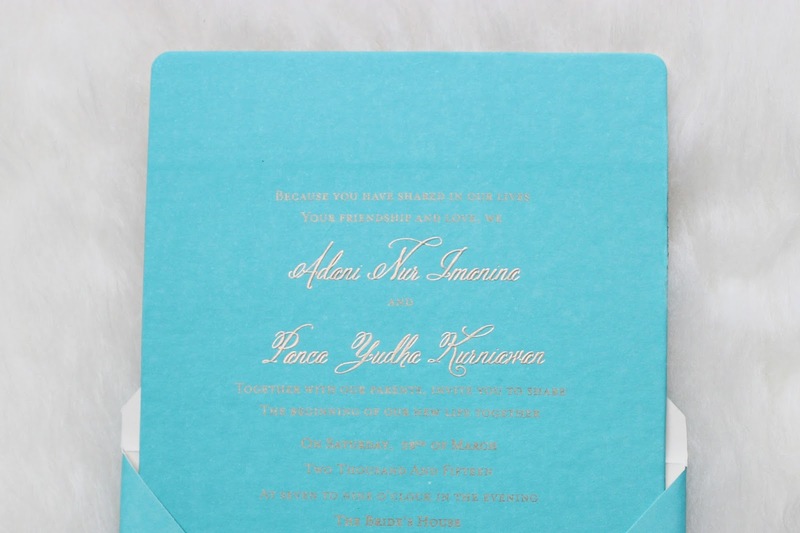 I opted for something timeless, words on the center, combining gold and turquoise. This invitation is for the "friends only" celebration. The wedding vow invitation is in Indonesian, as it is family only and we have families from outside the city. Sorry I had to crop everything because privacy, hehe. On the bottom it says "It's an at home, friends-only, laid-back celebration. Semi formal, comfortable attire is recommended." I hired someone in Kelapa Gading to take care of the design and printing (spoiler, I don't recommend them!). They have an outdated taste, they only have fonts everyone use (I had to send them both fonts I use! ), they don't have a great understanding about invitations (which is weird since they're professionals. I had to reprint the map of my location because it was too small, it was still too small after I reprinted them to a bigger paper, only to find out they told me after that that they can't edit the design my fiance sent them so it could have bigger text, they could have told me from the start....), they just don't have the freshest ideas, and a tad expensive. 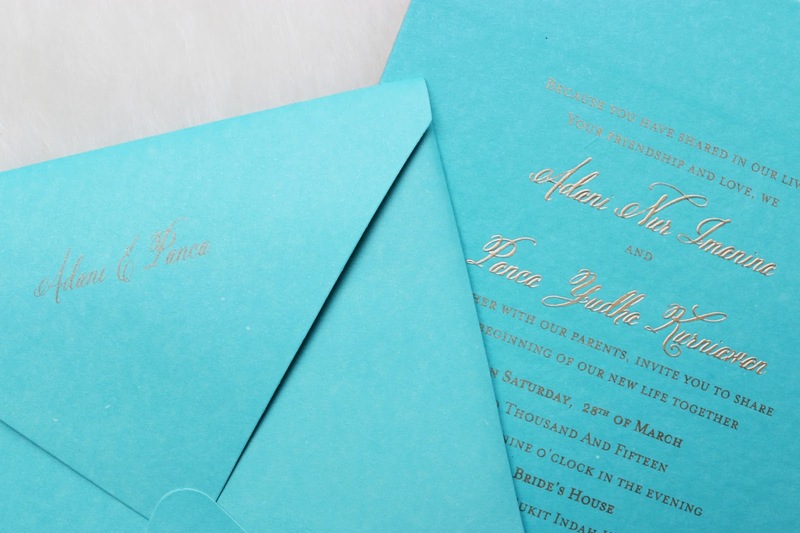 I paid more because I only needed to print fewer invitations than other weddings, because I invite fewer guests. So to reach the quota of the printing I was charged way more expensive (understandable, but if only they offer better service!). At least they were very, very nice and polite. Our invitation is everything I want (he's happy if I'm happy). Simple, but hopefully memorable (some friends contacted me saying my invitation's pretty unusual! ), and timeless. What do you think? 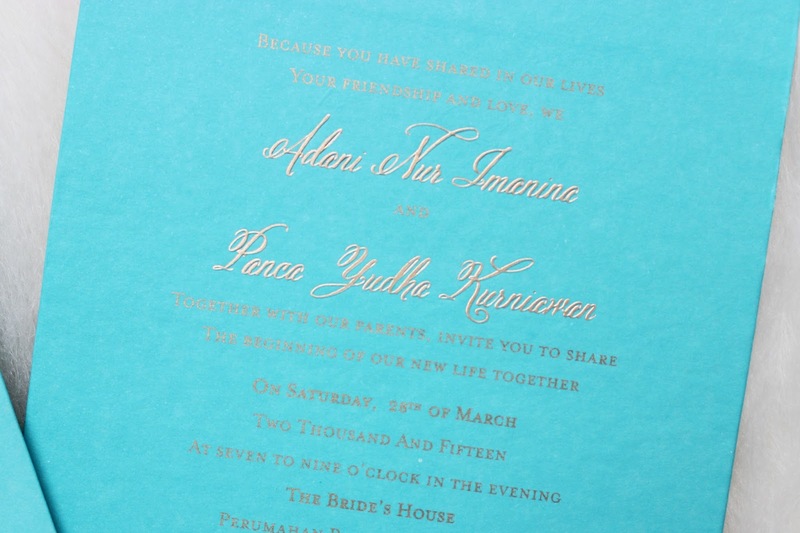 Do you like my invitation? Adaniiiii... selera kamu unyuu banget sihh.. gemesh liat undangannya! berkelass.. boleh aku copy gak kata2: "It's an at home, friends-only, laid-back celebration. Semi formal, comfortable attire is recommended." Luv!